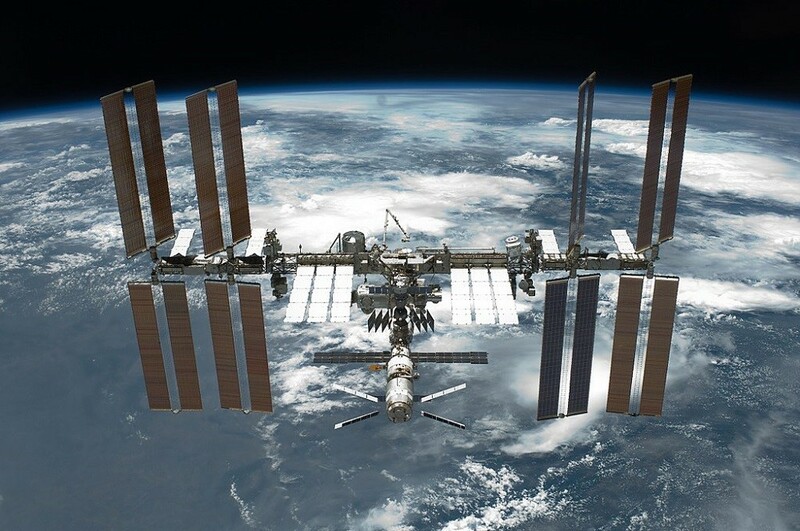 In July, the ISS brought The prototype of the device, with the help of which will make fluoride optical fiber ZBLAN . It exceeds the usual "optics" by the transmission coefficient is in the infrared range and other optical parameters. If everything goes well, the first "space mini-factory" for the production of optical fiber will appear in orbit. Under the cut - details about features and development prospects. The idea of ​​producing something in space is there was back in the late sixties. Today, even private companies and start-ups provide financial and technological support for such experiments. For example, the prototype for the production of ZBLAN in space is result cooperation of American technology companies Made In Space and Thorlabs. For the delivery of the prototype is responsible SpaceX, and with organizational issues help the staff of NASA and astronauts on the ISS. The glass ZBLAN in 1975 was developed by researchers from University of Rennes in France. The composition of ZBLAN included glass-forming fluorides of a number of metals - zirconium, barium, lanthanum, aluminum and sodium. The first letters of these metals also called glass. In the production of optical fiber, a special blank is heated to a temperature above 300 ° C and pulled into a long thread like chewing gum. To do this, use exhaust systems a few tens of meters high. The final length of the cable is limited by the dimensions of the preform and the amount of impurities in the glass structure. The main imperfection of earth cables is is covered by in their opacity. Impurities and irregularities in the glass interfere with the passage of the signal over long distances. To broadcast it, for example, across the ocean, you have to install a large number of repeaters and amplifiers. Compared to conventional cables, optical fiber from the group of fluorine glasses ZBLAN differs low indices of optical losses in the fiber core due to absorption (absorption) and scattering. Also for ZBLAN are characteristic of low losses in the region. infrared radiation , in particular, in the middle of the infrared (2000-5000 nm) range, where conventional cables work worse. However, ZBLAN glass is quite fragile, so pulling a long fiber out of it is expensive and difficult. In addition, the force of gravity is gives to the formation of a precipitate in the crystal structure of the fiber. According to research company Made In Space, if you produce optical fiber in space, it produces ten times less crystals. Therefore, optics produced under conditions of weightlessness, can transmit a signal beyond the "classical" cables. By words CEO of Made In Space Andrew Rush (Andrew Rush), four kilos of "space billets" can get four kilometers of optical fiber. Such a ratio, says Rush, makes the whole enterprise economically viable, even despite the high costs when sending blanks and equipment to space. Andrew Rush declares , that the "space" fiber ZBLAN can be laid across the Atlantic without a single repeater. He also noted that the throughput of new cables will exceed the performance of classical quartz fiber by 50-100 times. 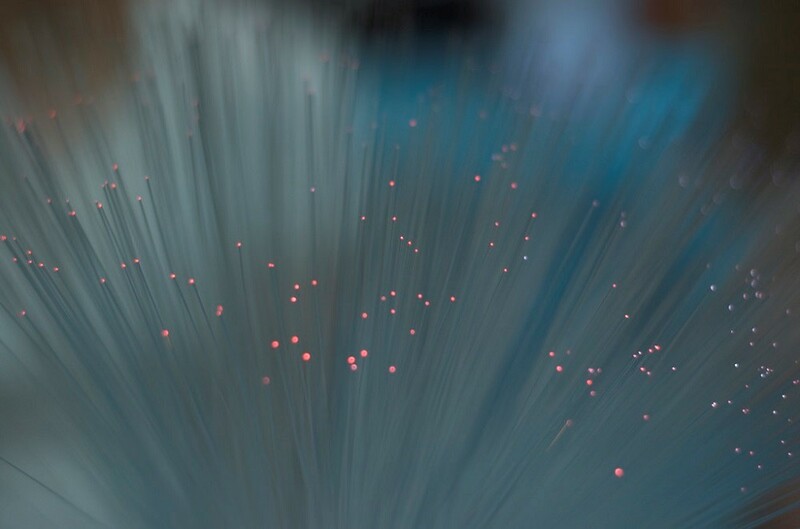 In the future in space it will be possible to produce optical fiber with a length of several tens of kilometers with a bandwidth of at least a hundred times higher than "terrestrial" cables. Now the researchers are testing the prototype, which arrived on the ISS in July. After this experiment, the "space" fiber will be sent back to Earth to test its suitability and evaluate the performance. The third test manufacture of optical fiber in space will begin either in November or in December of this year, depending on the schedule of the astronauts. If the test results are successful, the researchers will begin work on the deployment of equipment for the industrial production of optical fibers in orbit.